“SPACE IN MOTION: A Century of Estonian Architecture” is the Museum of Estonian Architecture’s permanent exhibition, which acquaints visitors with the development of professional Estonian spatial and architectural culture. The exhibition encompasses the most important segments of 20th-century Estonian architectural history, as well as the more intriguing phenomena of today. The display provides an overview of how social, economic, and political processes have influenced inhabitants’ lifestyles and local spatial development. During the tumultuous 20th century and the increasingly tumultuous 21st, the orientations of Estonia’s constructed environment have reflected social changes, historical shockwaves, and shifts in value-assessments. Intense periods of construction speckled with architectural pearls have alternated in Estonia with epochs tinged by wars or economic declines, in which architectural activity was at a lull. One particularity of Estonian architecture over the decades has been its openness to foreign influences. A number of architects have come from abroad to work on the periphery of Europe, situated along the rim between East and West. Local architects, on the other hand, have actively synthesised international influences with local building culture, the outcome being a style of architecture that is unique to Estonia alone. 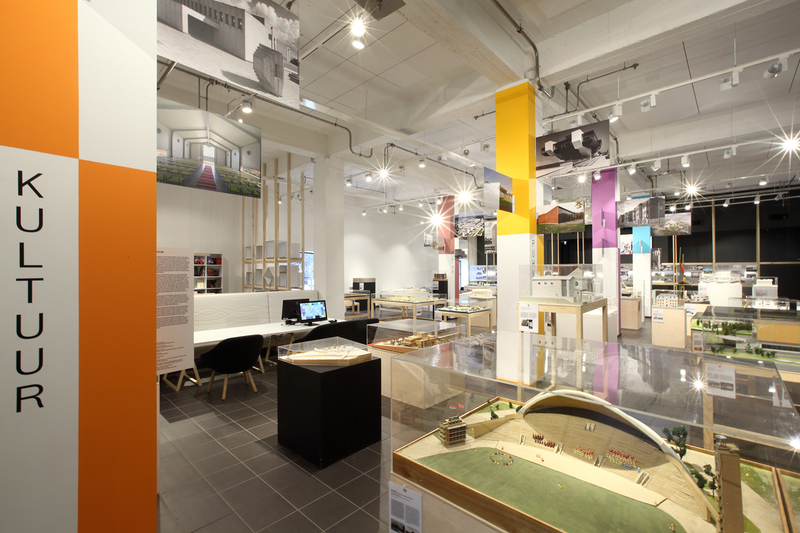 The exhibition is divided both spatially and in terms of content into a timeline of Estonian architecture (1900–20…) and thematic model groups. The timeline provides a simple and clear overview of the most significant instances of Estonian architecture from the early 20th century through modern day. 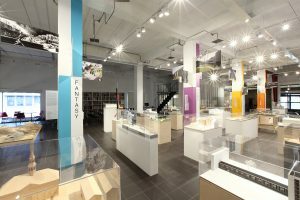 The thematic blocks (Culture, Society, the City, Home, Leisure, and Fantasy) are scattered throughout the exhibition space. Groups of models are situated around posts bearing topic introductions. Exhibited alongside completed structures are also a number of unrealised projects and visions that illustrate the given period’s relevant architectural ideas, but are intriguing to observe even today. To provide a broader picture of Estonian architectural culture, attention has also been paid to architects’ professional lives as well as the activities of associated institutions in different decades. The exhibition’s central medium is architectural models that originate primarily from the Museum’s own collection. Since the Renaissance, models have been one of architects’ main tools. They are simultaneously attractive exhibits, as they can be easily comprehended by all. Models help one to understand, study, and interpret architecture in a spatial form; to move around miniature buildings and perceive their composition of volumes better than by viewing two-dimensional drawings or photographs. 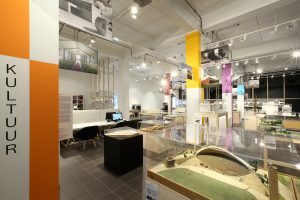 “SPACE IN MOTION: A Century of Estonian Architecture” is meant for architecture enthusiasts of all kinds – both locals and visitors. Models that were not on display previously and visual material that has been added to the museum collection over the last few years may appeal to guests from the architectural field. The museum is closed on April 19th and 23rd!